Iberia’s VERY generous 90,000 Avios promo – the facts! 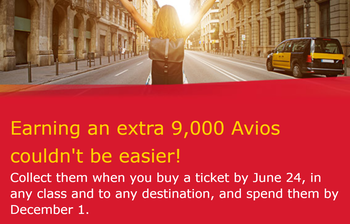 ENDS 11pm SUNDAY: Iberia’s VERY generous 90,000 Avios promo – you can book, it really does work! Iberia launched a new promotion on Thursday which, on the face of it, looked EXCEPTIONALLY generous. For every Iberia flight you book between now and Sunday night, however cheap, you will receive 9,000 bonus Avios. Your flying dates can be for whenever you choose. These Avios will post to your account immediately (within 10 days) and not when you fly. Even if you use the points for what is usually a poor value deal, such as booking a hotel, you should double your money. You can find full details on the Iberia website here. There were, however, a number of things that weren’t clear as you can see in the comment section under yesterday’s article. 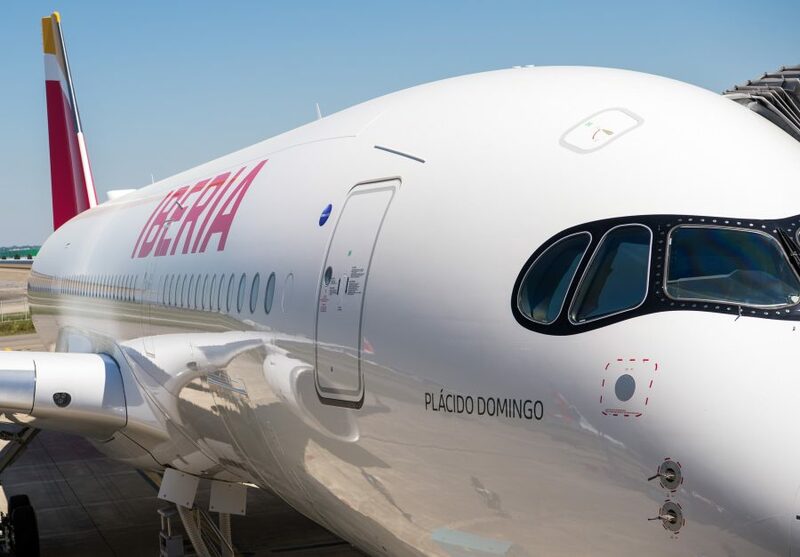 We talked to someone at Iberia to clarify the promotion and here are the facts about how the deal works. In summary – EARNING the Avios really is as good as it seems. (Spending is different, see below.) Book 10 x cheap one-way flights on iberia.com from a participating country by Sunday night and you’ll have 90,000 Avios in your Iberia Plus account within 10 days. Santander to Madrid appears to be a route with very low fares, around €25, as is Palma to Madrid and Malaga to Madrid. There are likely to be others. If you want to spend some time digging I would start with the Iberia Express route map and look for the Winter months. October to February are likely to have the best prices. You need to book via iberia.com – any page, not necessarily the offer home page. Do not use the Iberia Express or Air Nostrum sites. So, as far as earning the 9,000 to 90,000 Avios is concerned, it is all now very clear. If you can find 10 x bargain one-way flights, which could be as cheap as €250 or so, you’ll get 90,000 Avios very cheaply. If you don’t spend the bonus Avios via Iberia Plus by 1st December they will be taken back. This is possible via ‘Combine My Avios’ and they can be used as you want. However, on 1st December, your Iberia Plus account will show a negative balance because the bonus Avios will be reclaimed as you have not spent them. Having a permanent negative balance on your Iberia Plus account will stop you booking low-tax redemptions via Iberia Plus in the future. You would need to break up your BA Household Account, remembering that changes can only be made once every six months. Alternatively you could transfer to an Aer Club or Vueling Club account but I am not 100% sure if they can transfer into a BA Household Account. It should be possible as the old-style avios.com accounts allowed this. Your Iberia account would still end up with negative balance in December which may or may not concern you. One good option is booking a hotel via Iberia Plus. 90,000 Avios will get – using the 0.55p per point valuation Avios uses – exactly £500 of free hotel stays. If you can pick up the 10 flights for £250, you are doubling more money. Remember that hotel bookings made with Avios do not earn hotel loyalty points and you will not receive status benefits. If you can work around these three issues then you are fine. This HFP article looks at low tax options when redeeming Avios on Iberia’s website. It is now clear that Iberia is serious about this offer (heaven knows why, as they are paying real intra-group cash to Avios Group for them) and that you can earn 90,000 Avios as cheaply as you can find 10 x one-way Iberia, Iberia Express or Air Nostrum flights on iberia.com. You will NOT need to take these flights. Spending those Avios will not be totally straightforward, however, and will leave you with some mess to tidy up, even if it is nothing more than having to abandon your Iberia Plus account due to a negative balance. Iberia has ensured us that complaints, should your Avios not appear, will be taken seriously and you can email: [email protected] or call 020 3684 3774 if there are any issues. If you are going to give this a go, block out an hour of your day to do it. You need to make 10 totally separate bookings, meaning 10 credit card payments etc. You can find full details of this offer and the booking link on this special page of the Iberia website. You can book from there or via the main Iberia booking page here. no points either. and the prospect of clawback from BAEC highly likely (IT wise, it won’t be difficult). Looks like they’ve closed my account! No email and definitely no points. Anyone else seeing the same? they also were telling people with failed ID that they would close the a/c – do you fall into that camp? if you opened a new a/c with legit reasons but poor ID, I guess you could appeal – is there any reason to suppose your ID would not be accepted?